These were probably the best meatballs I have ever tried. Even with having a finicky daughter who started complaining about having to eat them, couldn’t stop at one and her quote was “These are better than cheese curds”. They are very easy to make and go well alone or over any kind of noodles. – Heat oven to 400 degrees, Grease roasting pan. 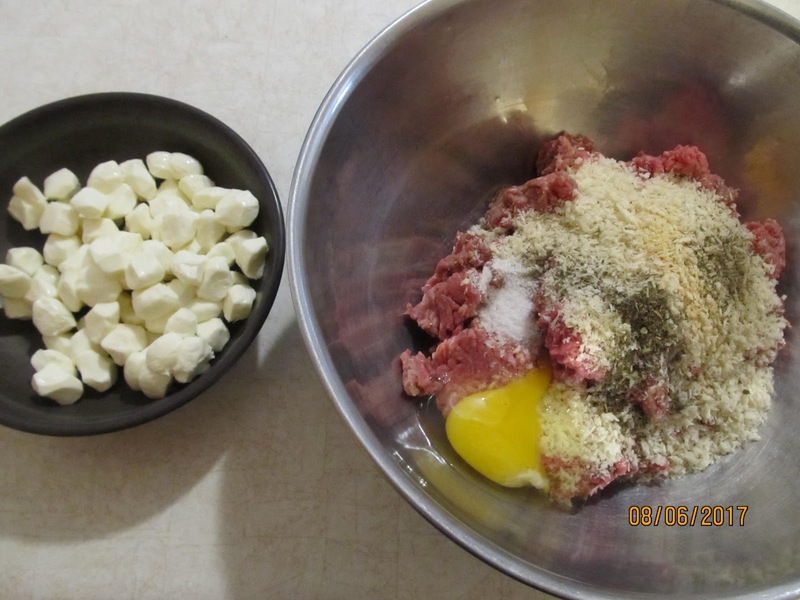 – In Large bowl, Add ground beef, crumble. – Add the bread crumbs, egg, ground garlic, Italian seasoning, salt and pepper. 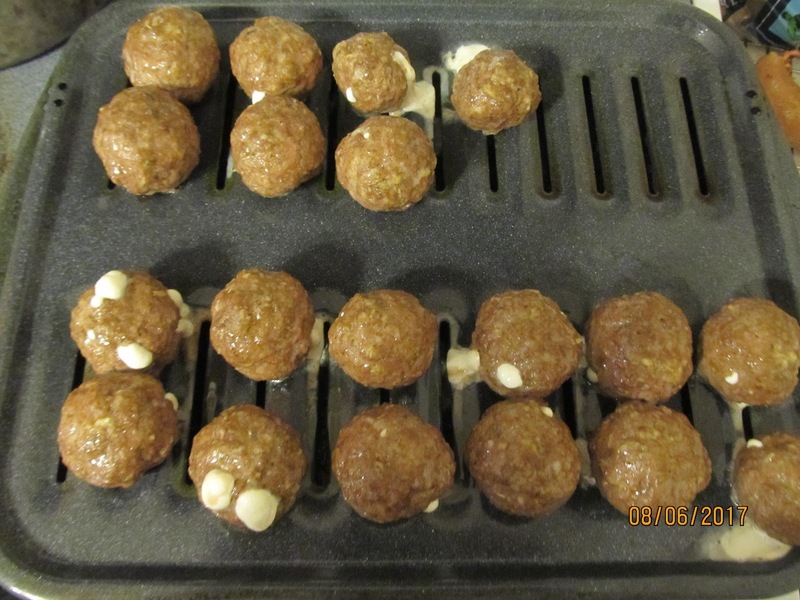 – Take 2oz of ground beef and flatten out, like a hamburger patty. 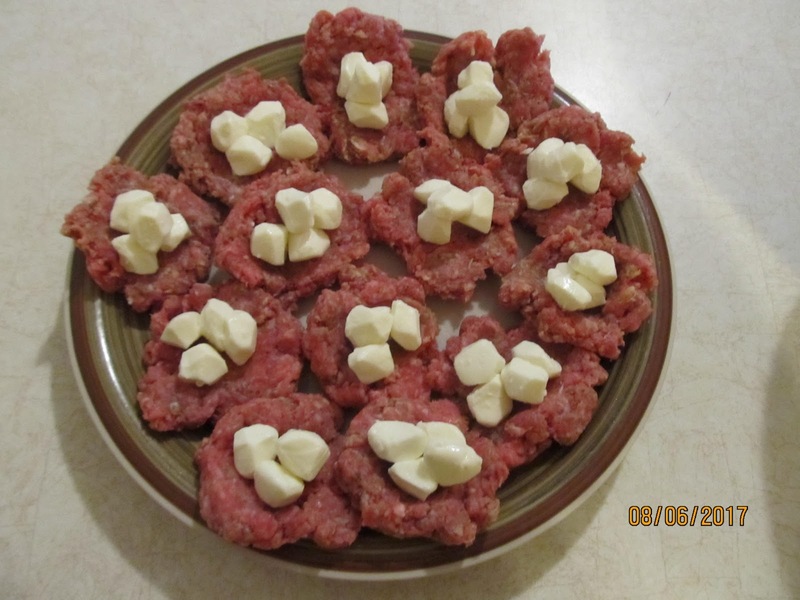 – Place 4 mozzarella pearls into middle of patty. 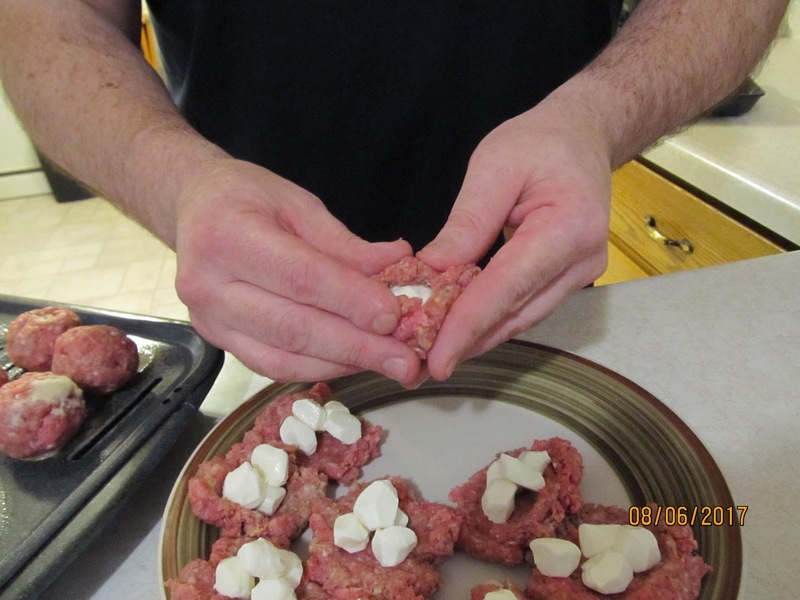 – Work patty around cheese to form a ball, and please make sure you seal it tight, so cheese doesn’t goo out. – This will make 18-20 mozzarella balls. 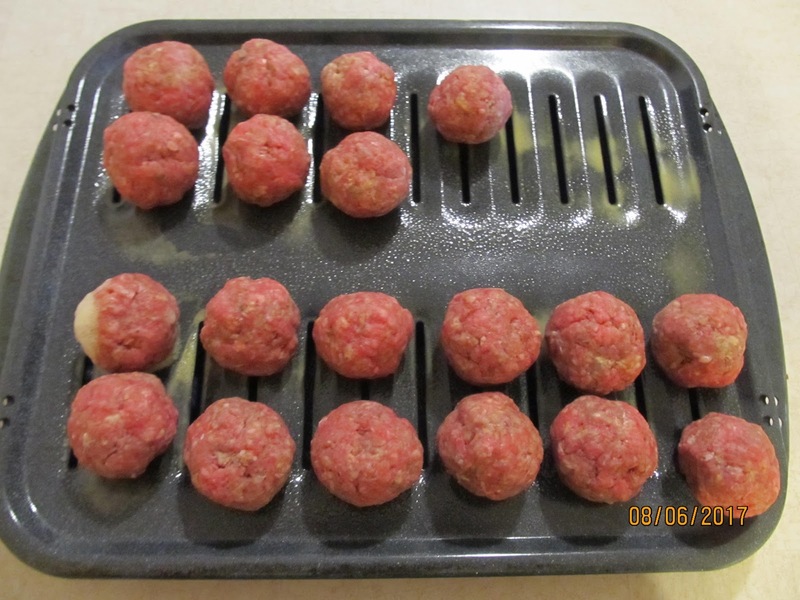 – Place each meatball on greased roasting pan and place pan in 400 degree oven for 15minutes. Some only a few of our meatballs had some cheese goo out, which was fine as it was eye candy to my eyes and I couldn’t wait to have one. 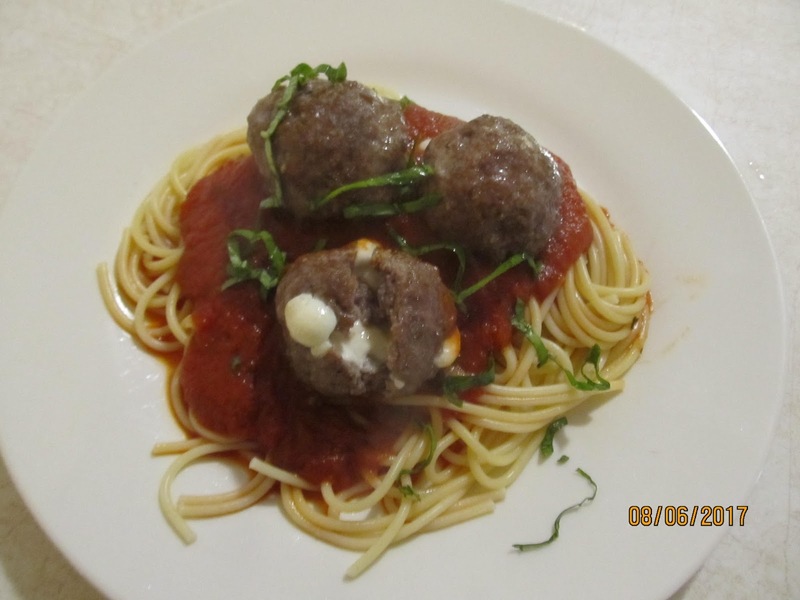 Enjoy these great meatballs, hmm, wonder how they would be in Swedish Meatballs? I made these and the family loved them!! Thanks for the great reciple! Browning the meatballs is best. to make sure they are cooked through. Hope you like them as much as we do ( i crave these ). Let me know your thoughts once you try them? I think making spaghetti sauce for my in-laws when they come to visit us this holiday season is special. Why not make special meatballs too!? This recipe from cookingadventures looks awesome! Check out the recipe and this food blog. These look and sound sooooo delicious! Sounds like our next Sunday lunch. Thank you.